A city by the sea in ancient times, Ravenna still hears its call, and so retains a vocation as a crossroads of peoples and cultures. And in the spirit of Ulysses – as Dante pictures him: ever longing for the next journey and eager to sail “on the high and open sea” (Inf. XXVI 100) – the Festival has never lost its appetite for the great adventure of music and the arts, which has taken its programme – each summer between June and July – across all performing languages, while Ravenna’s heritage sites have served as its many harbours. Byzantine basilicas shining with mosaics, historic theatres (starting from the 19th century Dante Alighieri Theatre, named after the Poet who lived and died in Ravenna), cloisters, palaces, and even the natural surroundings: the rich history of the city, home to eight UNESCO World Heritage monuments and historically a gateway between the East and the West, is the inspiration for the annual Festival founded in 1990 by Cristina Mazzavillani Muti. This year the Festival sails the Mediterranean and chooses Greece as its destination – both metaphorically and literally, within the ambassador project Roads of Friendship –, taking the chance to celebrate one of the cradles of Western cultures within the wider theme of the journey. The 30th edition starts from the exclusive meeting between two giants of music such as Riccardo Muti and Maurizio Pollini, together for the opening concert. 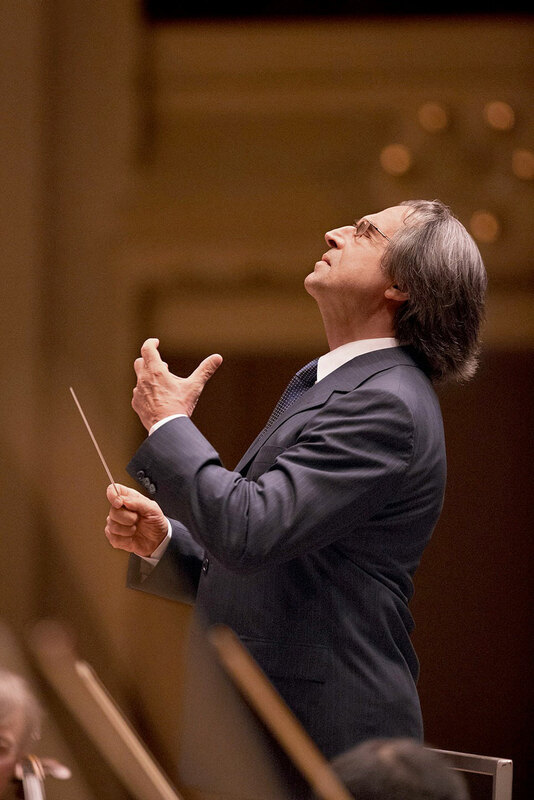 Muti shall later lead Italian and Greek artists in the Roads of Friendship joined concerts in Athens and Ravenna, for the performance of Beethoven’s Ninth Symphony and the appeal for brotherhood of its Ode to Joy. The Greek strand also features violin virtuoso and conductor Leōnidas Kavakos on the podium of the Luigi Cherubini Youth Orchestra, while the Greek-Byzantine singing practice shall meet the Western piano tradition in the concert with Nektaria Karantzi and Vassilis Tsabropoulos. The sound of waves also arises from the tributes to two celebrated Italian singer-songwriters such as Fabrizio De André and Domenico Modugno, but the journey continues in the steps of Berlioz’s Harold en Italie, part of the programme of the Orchestre National de France led by Emmanuel Krivine, with violist Antoine Tamestit. While the Giardino Armonico conducted by Giovanni Antonini visits Haydn’s The Desert Island and then tackles Mozart with sisters pianists Katia and Marielle Labèque, the Tallis Scholars lead a pilgrimage between Ravenna’s churches, for an extraordinary seven-concerts-in-a-day experience. The route climbs the mountain of Dante’s Purgatory – a mystery play by Marco Martinelli and Ermanna Montanari, tailor-made for the city where the poet spent his last years and was buried – then plunges into the psychedelic depths with the double homage to Pink Floyd: Shine!, a choreography by Micha van Hoecke, and the concert of Nick Mason’s Saucerful of Secrets. The rhythm is set by the week of The 100 percussions and by another legendary drummer, Stewart Copeland of the Police, who will “light up” the Cherubini Orchestra. The dance section features the Hamburg Ballett (the only dates in Italy in the year of John Neumeier’s 80th birthday, with three works inspired by Beethoven, Mahler, and Bernstein) and the Martha Graham Dance Company, whose programme includes Errand in the Maze, based on the Greek myth of the Minotaur. A shower of stars for the closing event of the summer programme: the ballet gala night Les étoiles. Last but not least, Ravenna’s own history is celebrated by the daily events: Young Artists for Dante in the Franciscan Cloisters adjacent to the Poet’s Tomb, and the Vespers sacred music concerts in the Basilica of San Vitale.